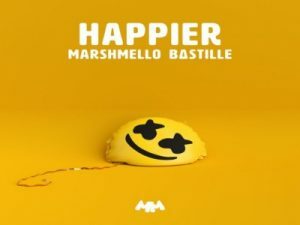 “Happier” is a collaboration written by Bastille and produced with Marshmello. The song was released Friday, August 17, and a teaser had been shared on social media before it’s release. The artwork for the single was revealed on Universal Music’s “presave” page for the song. It was also revealed on this page that the primary artist would be Marshmello with Bastille as a feature.